He was originally a powerful and implacable enemy of Jesus, determined to stop the spread of Christ’s message. But then his dramatic conversion changed him and changed the course of history. From his education in Jerusalem under the Rabbi Gamaliel to his exhortations on behalf of Christianity throughout the Mediterranean, The Story of Paul the Apostle, presented by The History Channel, explores the life and legacy of the greatest missionary of the early church. Theologians reflect on the importance of his upbringing to his success in spreading the Word, and an in-depth analysis of his writings — some of the earliest Christian documents extant — shed light not just on the origins of Christianity, but on the man who helped ensure its survival. Follow in the footsteps of Paul of Tarsus — The Man Who Turned the World Upside Down. 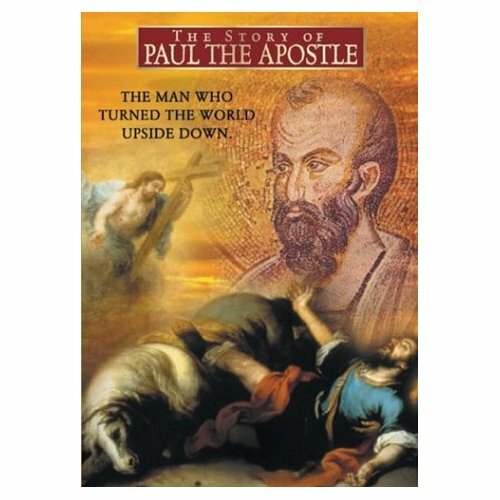 Review :- This DVD is an eye opener for us who never knew the history and life of St Paul. It is a documentary narrated by Martin Sheen which delves deep into history with dramatizations we’ve come to expect of the History Channel. Watch this DVD and discover how, I believe the first and probably greatest Theologian ever lived according to the will of God. I managed to borrow it from Hollywoodclicks.com of which I am a member.